New budget priced £9.99 (SRP) decoder from Hornby with full NMRA approval set to hit the shops soon! A new 4 function budget priced Hornby decoder set to retail at around £9.99 will be in the shops by the middle of August and will carry the full certification and approval of the NMRA. The CVs included in the decoder can be programmed in Operating Mode, Register CV Mode, Paged CV Mode and Direct CV Mode. Along with the programming the decoder can also be interrogated in the all the service modes. The decoder also supports long addresses. 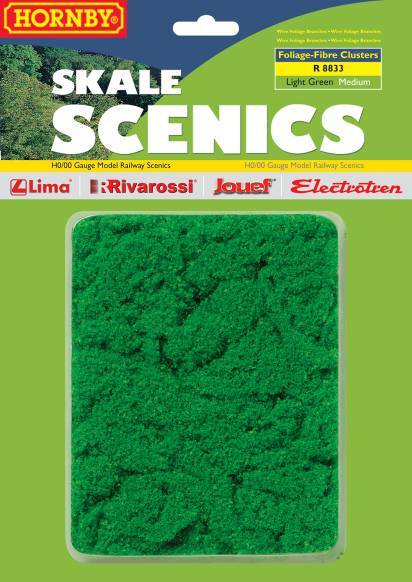 Hornby SkaleScenics - Long seen as the weak link in Hornby's range. 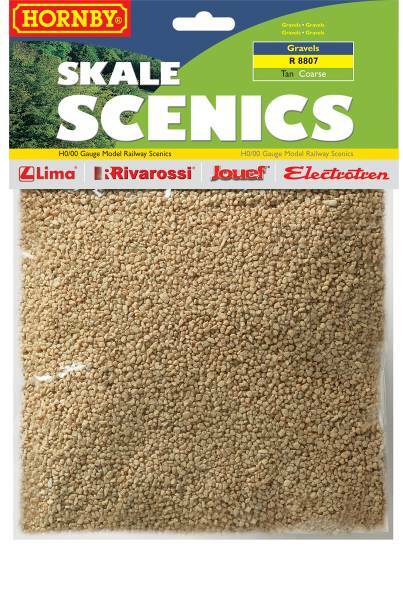 The Announcement of a new extensive range of scenery materials is very welcome. 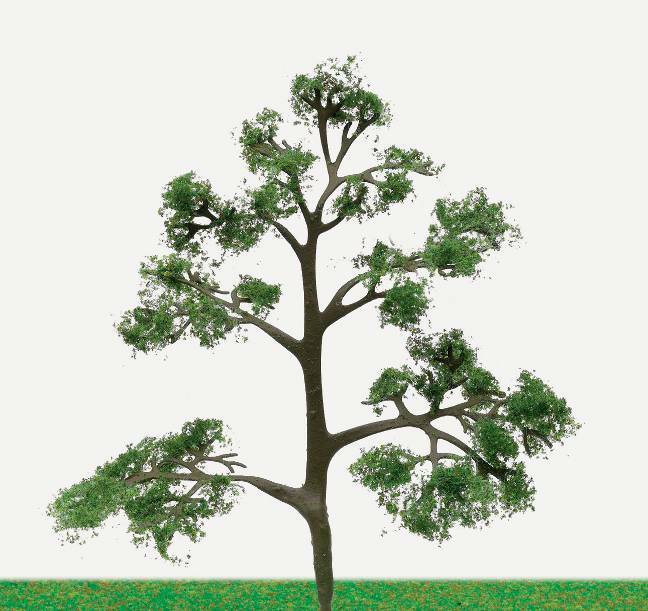 The range includes a wide selection of ground cover, gravels, foliage, and trees (including tree kits). Hornby Skale Lighting - Another Skaledale accompanying product range is Hornby Skale Lighting. Hornby Railroad Range - Now into its second year the Railroad models introduced to cater for Beginners / New Enthusiasts is to have 7 new locomotives, 5 new wagons, and 2 new coaches added to the range. The Range is also to have its own Train Set (R1107 Bartello's Big Top Circus Train Set). The new models also include locomotives that are both DCC ready (R2775 Regional Railways Class 37, R2785 BR 'Evening Star' Class 9F, R2779 LNER 'Falcon' Class A4 and R2707 Virgin HST Pack) and DCC fitted (R2738X BR 'Mallard' Class A4 DCC FITTED). To go with the Class A4's in this range is a version of Hornby's LNER Teak Composite and Break Coach. The Ex lima car transporter has been added to the range along with a double level car unloading Terminal R8263. The car terminal is definitely designed to give operational interest to young modellers and is a toy rather than a model. 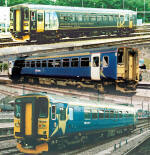 Diesel and Electric Locomotives - This year the Class 153 is to be given the super detail treatment. The model is to feature a motor bogie (5-pole skew wound), directional lighting, NEM couplings, and will come in both DCC Fitted and Ready versions. 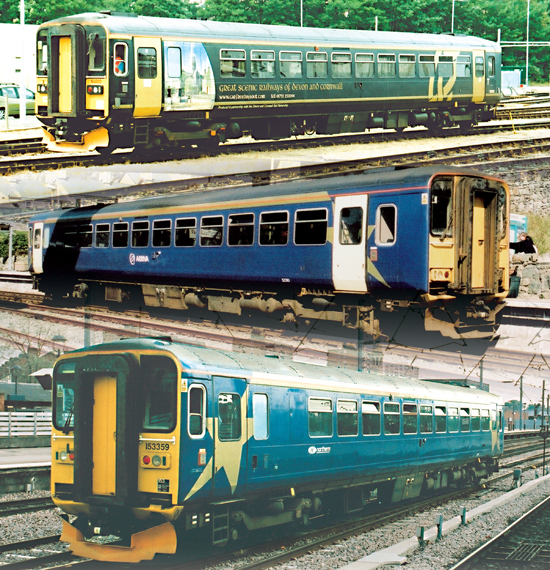 The Class 153 will be available in 5 liveries; Central Trains, Northern Rail, Arriva Trains Northern, Arriva Trains Wales, and Wessex Trains. As well as different liveries of 2007 models Hornby have also re-released the class 87 and 86, from the former lima tooling comes the class 20 which is to have new detailing including windows and a new chassis with the new motor bogie (5 pole skew wound motor). digital sets, Hornby will only release 1 new set in 2008 - a Digital Eastern Pullman (R1097). Track Power and Control Accessories (DC and DCC) - Along with the addition of a 4th radius track (following on from PECO's introduction of a single 4th radius track in 2007), we shall see a redesigned standard controller using the control knob from the digital controllers. Like the previous version it also requires a wall mounted transformer to operate. To counter the appeal of the Bachmann Dynamis, Hornby are to release a wireless (IR) hand held controller called "Access One". Connected to the Hornby Elite you can enjoy totally wire free train control. The Infra Red handheld unit includes many features that are incorporated into the Elite control including selected CV changing, large 4 digit display plus function control. The Access One IR Control may also be connected to the Hornby Select Unit but with limited function control. In the digital range of accessories Hornby are to produce a new loco decoder called the "Sapphire Decoder". This decoder will be available in 2 sizes (R8245 Sapphire Decoder and R8246 Mini Sapphire Decoder). Set amounts of "water" and "fuel" can be stored in the Sapphire providing real time fuel consumption. Burn rates can be selected. The decoder has a low speed "gear" for shunting operations. To allow for operation of standard motors Hornby are to produce an Accessory Decoder (R8247) which will produce via changing the settings of the CV's graduation of varying "bursts" of current up to a constant current. Wagons - New for 2008 is a Shark Brake. Produced in Loadhaul, EWS, and Departmental liveries this new model features NEM couplings and detailed interior and exterior. 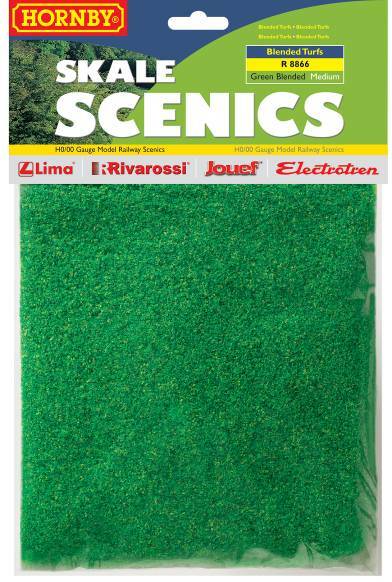 Hornby are to release its 2007 product release information at 1 minute past midnight. New Railway Modellers has been given a preview of the new products for 2007 and will also release information, pictures, and comments on Hornbys new line up. This information will be available on NRM at 00:00 on the 1st January 2007. Click here to go to the 2007 pages. You will be able to discuss this information with fellow modellers in the NRM Forum.